If you are troubled with this condition, Dr Pathy specialises in dermatology and can offer advice and treatment. A tetanus booster is required by all. The flu vaccine is offered every October to all patients 65 years and over and those who fall into ‘At Risk’ groups such as diabetes, heart disease, lung or kidney disease. Pneumovax is administered for protection against bacteria that often causes pneumonia. It is offered to all patients who are 65 years and over. We offer to students previously unimmunised, Meningitis C and the second dose of the MMR. All requests must be in writing and consent given for the release of immunisation history. Antenatal Clinic is held on a Friday morning. The initial booking appointment is with the midwife. Information about antenatal care is available at reception. For more information please see our Maternity Services page. We aim to monitor and improve your asthma management annually. We are happy to advise you on your asthma at any time, simply request an appointment with the practice nurse. Cervical screening will commence at age 25 for first call (invitation issued at 24yrs 6mths). Women will be recalled for screening every 3 years between the ages of 25 to 49. Women aged 50 and over will be recalled for screening every 5 years up to the age of 64. If you are under the age of 25 and have had an invite letter from Cervical Screening Wales please bring this to your appointment as this is required for the nurse to then do your smear. If you have lost or misplaced your letter please contact Cervical Screening Wales on 02920 787910 to ask for them to send you a copy. The smear will be carried out by our practice nurse. Please do not ignore your recall letter. Chlamydia screening may be offered at this time. Routine Immunisations and developmental check are carried out every Thursday, between 1.30pm and 3.00pm. The doctor and health visitor will be present to discuss any problems. Diabetes monitoring is performed at the practice and in some cases shared with scheduled hospital visits. Dr Pathy is the lead GP in this area and our practice nurses support him. Practice Nurses offer screening for diabetes. If required please make an appointment at reception. We offer advice and guidance on the full range of contraceptive care. We are able to provide the oral contraceptive pill, the contraceptive injection, emergency contraception and the contraceptive implant. Please book an appointment with the doctor or nurse to discuss your needs. All other tests and procedures can be done at any ‘Family Planning’ clinic. Prescriptions will be available for collection at the surgery or preferred local pharmacy the following day. Please be aware that it is your responsibility to not leave it until your last pill before coming to the clinic for your prescription. With effect from 2 August 2016, we will be ceasing the use of the texting system that patients use to obtain an appointment. Patients will be advised to telephone Cardiff 02920335208/02920335355 between 8.30am and 5pm, Monday to Friday, where they will be able to speak to an individual who will deal with their queries and facilitate appointments as appropriate. We are hoping that this will improve the service we offer to patients, and would welcome any feedback. In the short-term, Mikkom will send a message to patients advising them how to make an appointment. We are now providing Nexplanon to patients of City Road, Roathwell & Albany Road surgeries as well as our own patients, and accept self-referrals. Please see link below for a self-referral form. We would like to advise all patients that this service is available on Tuesday afternoons. For further information and to book an initial consultation please enquire at reception or ring 02920 353020 to book an appointment. Flu is a very contagious infection which can cause serious illness among people aged over 65 years or those of any age with particular medical conditions. Levels of flu infection rise during the winter months. The best way to protect you against the flu is by having the flu jab every year. The vaccination takes a couple of minutes and is both safe and effective. Remember because the flu jab is a dead vaccine you can’t catch flu from the flu jab. Children’s Fluenz Vaccine is now available for all children aged between 01/09/2012 – 31/08/2014. Years 1, 2 and 3 will be vaccinated at school. Please contact the surgery to book an appointment. If you are a smoker, we strongly advise that you stop. Please contact ‘Help Me Quit’ on 0808 2506885. Advice and support is available by appointment with a practice nurse. Woodville Pharmacy offer a FREE smoking cessation service for our patients. An initial assessment to determine the client’s readiness to stop smoking. Motivational interviewing techniques to assist clients in their attempt to stop smoking. Weekly supply and support in use of Nicotine Replacement Therapy products to maximise therapeutic benefits. Weekly Carbon monoxide monitoring to support a stop smoking attempt. Identify clients who need referring, following the local referral pathway. When going abroad on holiday or business you may need the protection of travel vaccinations and malaria tablets. 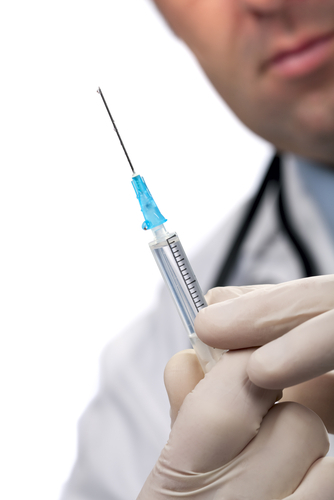 Some vaccinations are administered without charge but there will be a fee payable for others. Please see the practice nurse by appointment. For more information, please see our Travel Services page. All of these services are available by appointment. When booking an appointment, please supply the receptionist with the reason for your booking and an appropriate time slot will be given.